Creating and maintaining a YouTube channel can be a powerful way of publishing video content to your audience and generating value for your organisation. 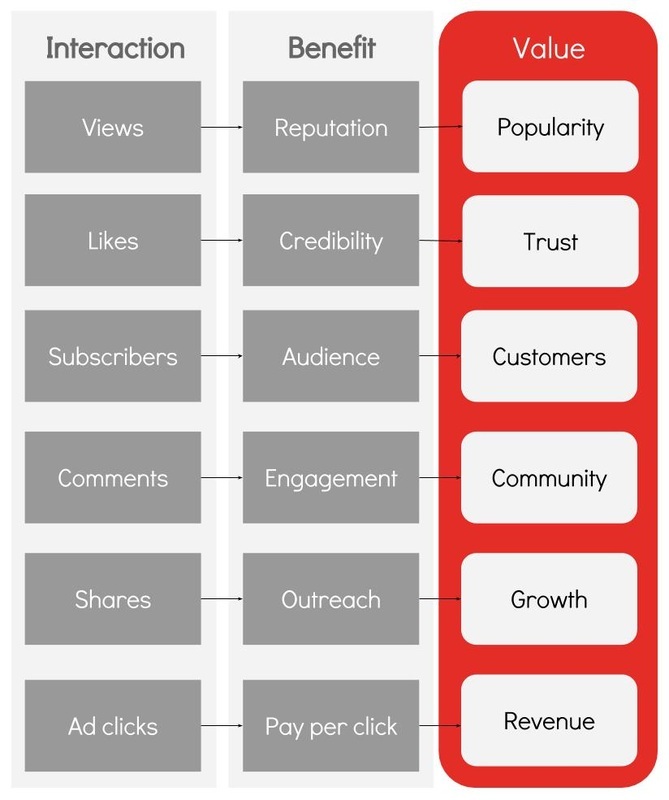 YouTube carries several key user interactions that create different types of value to your channel. The relationships between these interactions, their benefits, and the value they generate are illustrated below.